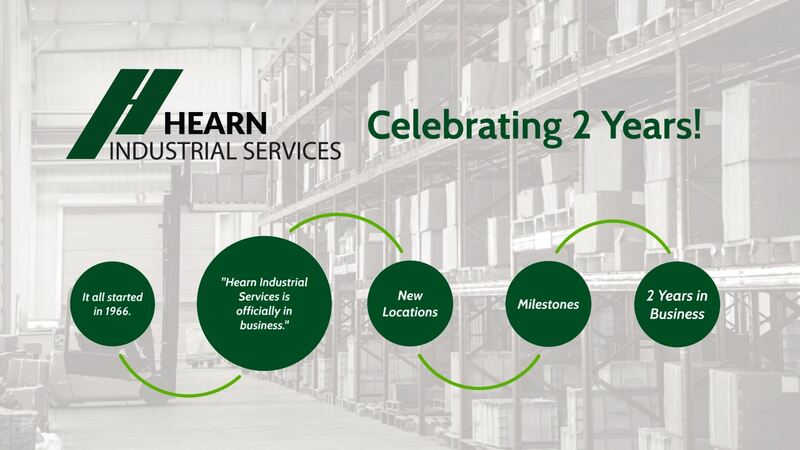 Hearn Industrial Services is celebrating 2 years in business! Check out our short presentation on Prezi commemorating this milestone. Click on the image to view our Prezi presentation! A big thank you to our customers and employees, we couldn’t do this without you! As we reflect on our last two years, we become even more eager to face the future and continue our journey. The Hearn family looks forward to continued growth and expansion. Need our services in a location we haven’t reached yet? Let us know – we’re always looking for new areas to grow into!